Newspaper Rock: Name Alpine school for Reagan? The remark was deemed offensive by Native Americans, as a New York Times letter to the editor from a Cornell University’s American Indian program visiting professor noted. In an open letter to President Reagan signed Mitakuye Oyasin (All our relations), the American Indian Movement of Colorado termed Regan's comments about Indians as primitives "insulting" and "ignorant." The group also took offense at a Reagan comment suggesting Indians had become wealthy from oil under reservation lands. Its letter cited the Arizona Republic, which reported that Reagan's administration allowed oil companies to drain $5.7 billion in oil royalties from Indian and other federal lands and that Reagan's Bureau of Indian Affairs (BIA) officials "repeatedly sided with oil companies against Indian nations and individuals who are due royalties, but are left in poverty." Healthcare funds for Indian health were deeply cut in the Reagan years. In addition, removing incentives for physicians to work on remote reservations led to a shortage of physicians to treat Native Americans, AIM observed. 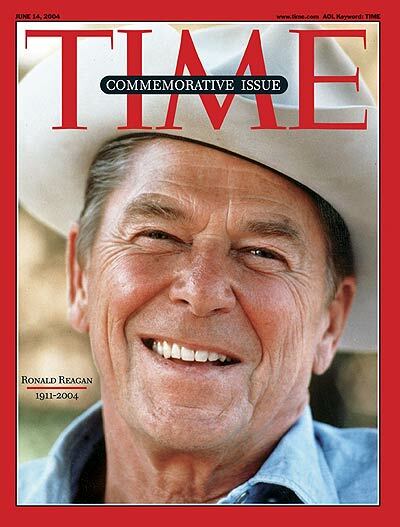 Indian Country Today, in a 2004 article titled “Assessing the Presidents: Ronald Reagan,” note that those remarks dovetailed with “the worst of his Indian-specific practices while in office.” The “Reagan Revolution” of tax-slashing and cutting federal programs included the Reagan administration recommending “the wholesale dismantling of the BIA.” Reagan also lamented the cost of Indian-specific federal programs and proposed steep budget cuts in social programs employing many Indians on reservations, where 60% lived in poverty. He also tried to expand states’ roles in governing treaty fishing and tribal education.Comment: For more on the subject, see Rob's Response to Reagan.